When you imagine an escape to the sunny, sensuous Mediterranean, what drink are you ordering at the bar? Lynn Elmhirst, BestTrip.TV's producer/ host, shares her favorites. Don’t be that guy. When you're looking to switch it up from the regional wine or beer or straight-up spirits, here's a list of cocktails you can confidently order like a local. 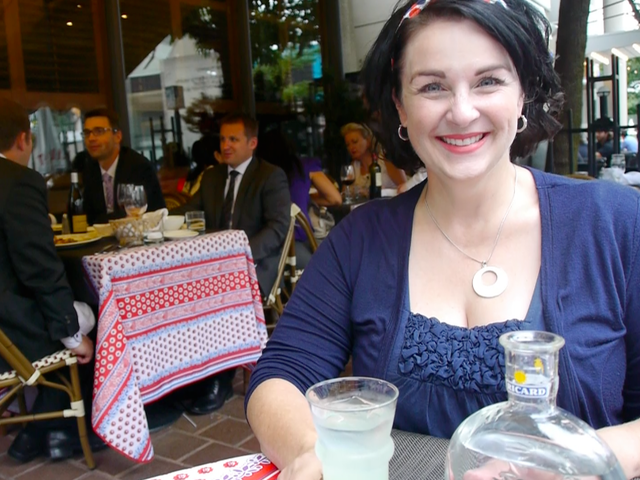 My first love affair with a cocktail began when I lived in France. It's still the first thing I do whenever I arrive anywhere in France, from Normandy to Nice: go to an elegant bar, ideally with a view, and order a Kir Royale to toast my return to one of my most beloved travel destinations. Kir Royale is made from crème de cassis (black currant liqueur – there's no cream, crème de… refers to any sweetened cordial) and champagne. You can also order a Kir, which is the same cocktail but with white wine instead of champagne (royale in a cocktail refers to champagne) or, as I discovered in a restaurant in the Beaujolais region, a Cardinal, made with red wine instead of white. In the south of France, particularly in Marseille, locals are most likely to be ordering Pastis at a café. Pastis barely qualifies as a 'cocktail'. It isn't even mixed by the bartender. Generally, you are given your own bottle of anise-flavored liqueur and a carafe of (often iced) water; you mix them together to your own taste. The moment you add water, your cocktail becomes cloudy. Don’t worry, it's supposed to look like that. Ah, but you don't like black licorice or anything anise-flavored, right? Trust me, in the blistering Mediterranean summer sun, nothing tastes more perfect. Or trust French good taste: they are said to drink 130 million litres every year. The French are not alone in developing an anise-based liqueur. It's a common theme in traditional spirits in the Mediterranean. The version distilled in Greece is Ouzo. Good Ouzos are complex, containing numerous botanicals in addition to anise. That means there are nearly as many versions as there are distillers of Ouzo. And like pastis in Marseille and Provence, it's drunk mixed with water, perfect for a dry throat on a hot Mediterranean day. 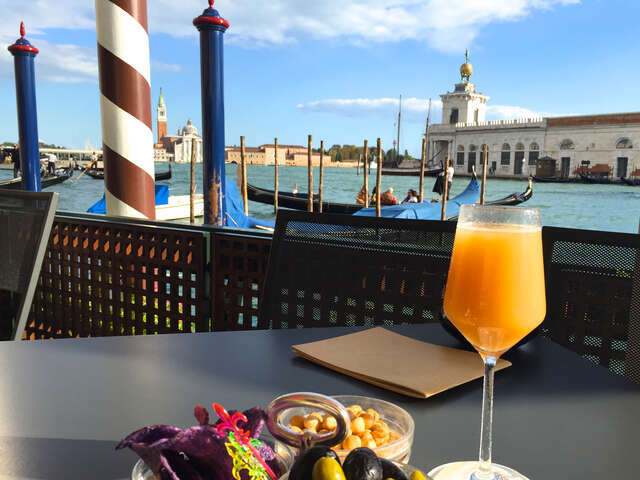 It's hard to say you've been to Venice if you haven't had a Bellini. The original was developed in the 1930's by the owner of Harry's Bar, and you can still order one there in Venice today. This cocktail features prosecco (Italian sparkling white wine) paired in a perfect flavor combination with white peach puree, served (like a kir royale) in a champagne flute. The ideal foreground to any photo of life on the Grand Canal in Venice. If the Bellini is a bit too 'ladies' brunch' for you, give the much more savory Aperol Spritz a try. A 'spritz' is a wine-based cocktail with a bitter, botanical liqueur and a splash of soda. 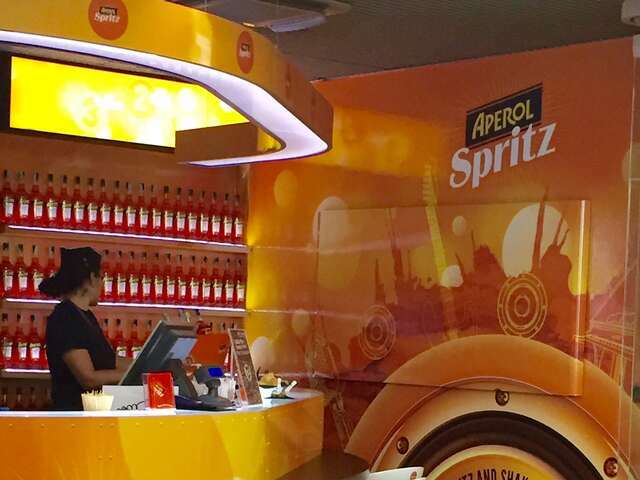 The Aperol Spritz has become the go-to version especially in Northern Italy. There are a reputed 300,000 consumed daily in the Veneto region alone! Aperol's vivid coral color, and flavor combining bitter oranges, rhubarb and gentian root, make it both festive and refreshing. Where the Aperol Spritz is light, summery and refreshing, the Negroni is the Italian cocktail with bitter liqueur that will 'put hair on your chest' as I once told a friend when I recommended it. In this case, the bitter comes from Campari, less sweet and higher in alcohol than Aperol. Paired with gin and vermouth in an old-fashioned glass over ice with an orange peel, it packs a punch. Order one in Florence, where the Negroni was invented in 1919. The Negroni – and versions of it – have become the 'it' drink in trendy watering holes in North America, so you can show your mastery of cocktail style before your next trip to Italy. Popular on patios across North America, where imaginations have run wild, producing exotic variations on Spain's original red wine and marinated fruit 'punch', Sangria is still a legitimate local drink in Spain. So even if you regularly make green grape and kiwi sangria for your own pool parties, don't miss trying the original on its home turf. In more traditional places like Madrid, you'll find Sangria that sticks to its roots. The original recipe elevates young (but still drinkable!) Spanish table wine blended with oranges, lemon, and a cinnamon stick, left overnight to blend the flavors, into a truly delectable beverage served at the table from a shared pitcher. Western Europeans generally order cocktails like these as aperitifs – afternoon/pre-dinner cocktails, occasionally with light snacks. Dinner later in the evening is usually served with wine (or in Central Europe, beer), and a dessert wine or port accompanies a sweet or cheese course.